Chemical Solutions provides toll manufacturing services for a wide range of clients. We have the experience, the technology and the facilities to manufacture formulations and toll chemicals required by a wide variety of industries. Quality assurance at every stage of the process, ensures that your products are tested and meet your preferred specifications. We can provide adaptable solutions for your supply chain management via our toll manufacturing process so that you receive the critical materials that you need for the production of your goods. Call us today on 1300 708 558 to discuss your project requirements. We have been delivering exceptional results for over two decades. 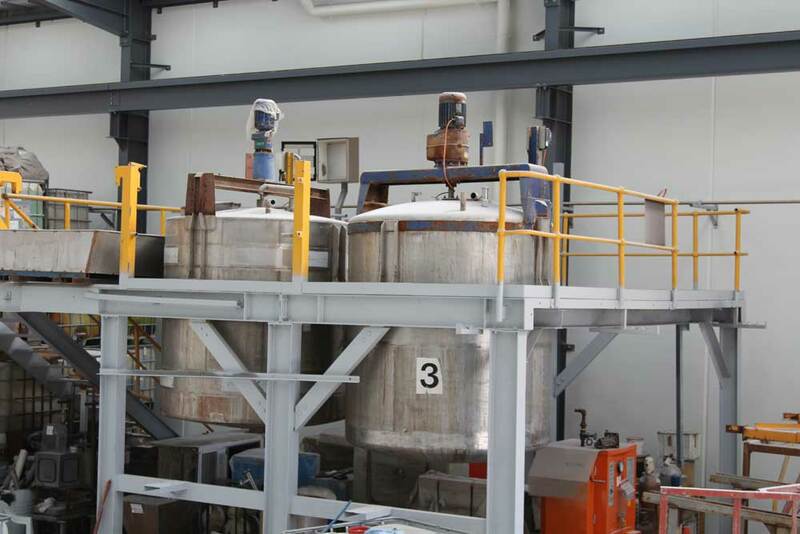 Our 7,500 litre stainless steel reactor (reaction conditions of 600 kPa and 200 degrees centigrade) and associated blenders and holding vessels, enables us to have a substantial capacity to manufacture specific chemical products and solutions for our customers. All dangerous goods and hazardous substances can be handled and packed onsite in our purpose-built facility. With our stringent safety standards, all dangerous goods will be handled with the utmost care. Finished products can be directly pumped into a range of storage tanks (polypropylene, stainless steel and fibreglass) of up to 25,000 litre capacity for delivery to our clients. As one of Australia’s most respected chemical contract chemical manufacturing companies, your processing requirements are in the best hands possible with Chemical Solutions. If you have any questions about our toll chemical manufacture or for a quote on our services, please contact us today or give us a call on 1300 708 558.